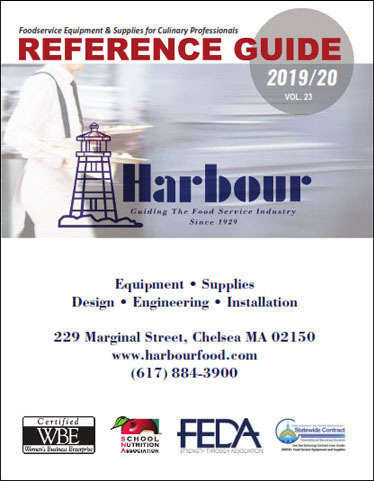 Our new Reference Guide is in! It contains current products from dozens of vendors, encompassing everything from kitchen supplies and equipment to front of the house tabletop items. 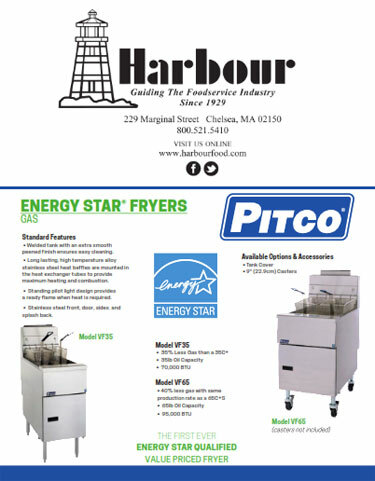 Energy Star Rated Fryers, Convection Ovens and Pizza Ovens. Many of these are eligible for instant rebates through Mass Save for up to $1000 per fryer or Oven Compartment. No mail-in forms, no waiting, instant discounts off of purchase price. 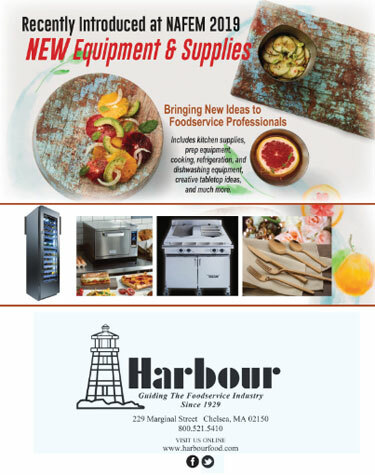 A variety of new equipment and supplies, recently introduced at this year's North American Association of Food Equipment Manufacturers show. Includes kitchen supplies; prep equipment; cooking, refrigeration, and dishwashing equipment; creative tabletop ideas; and much more. 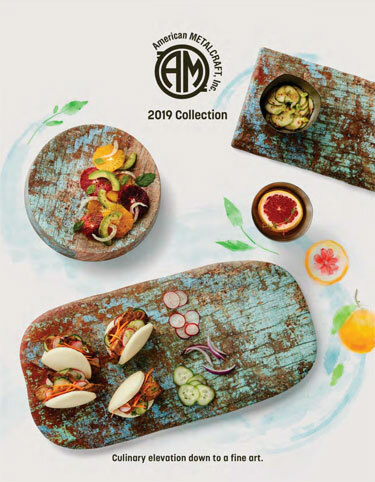 The full 2019 catalog is out. 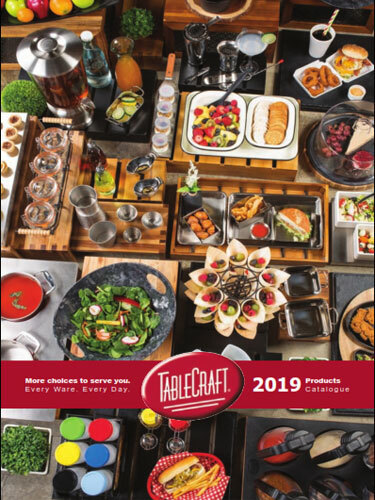 Tablecraft has a wide array of kitchen smallware, tabletop solutions, buffet items, serving ware, and more. 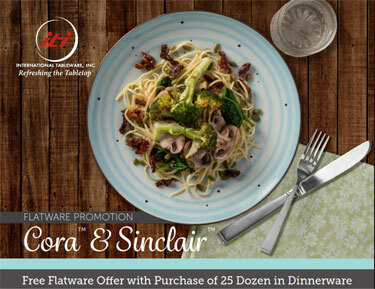 ITI is running a great flatware promotion: buy 25 dozen or more of their dinnerware in one order, receive an equal quantity of either their Cora or Sinclair line of flatware. Download the flyer for details. Limited time -- program ends 3/31/19. 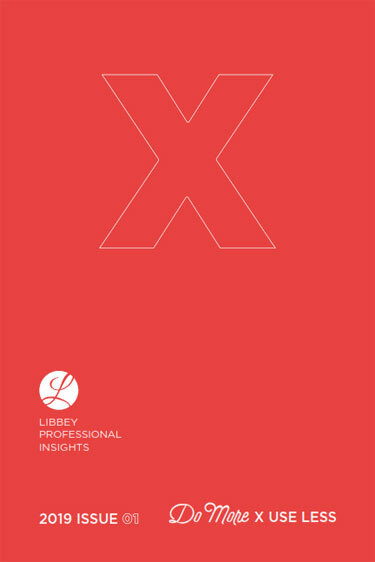 Libbey Insights - Do More, Use Less. More Style in Less Space with chic designs that stack away neatly. More Impact with Fine Details: make unforgettable impressions with Libbey's finest flatware. More Versatility with Less Effort: with do-it-all products that put less demand on your staff. The full 2019 catalog is here. 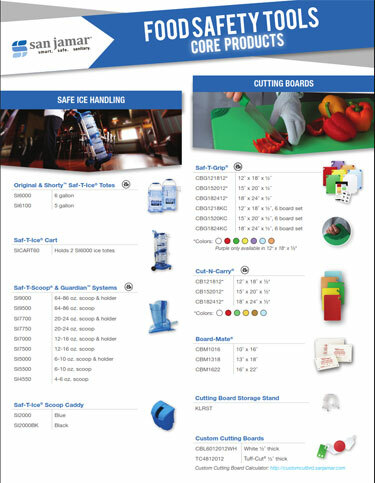 We stock a good selection of bar supplies and pizza supplies, but can also special order just about anything in the catalog. 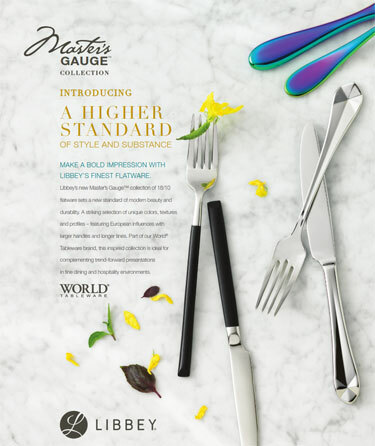 New Master's Gauge collection of 18/10 flatware sets a new standard of modern beauty and durability. Everything you need for proper food handling. 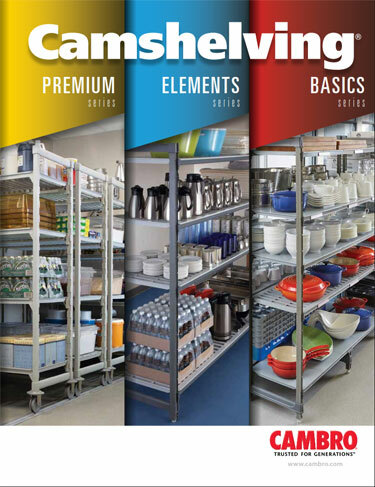 Camshelving storage systems: helping foodservice operators optimize organization, support food safety, improve labor savings, simplify inventory management, reduce food waste, and eliminate replacement costs. 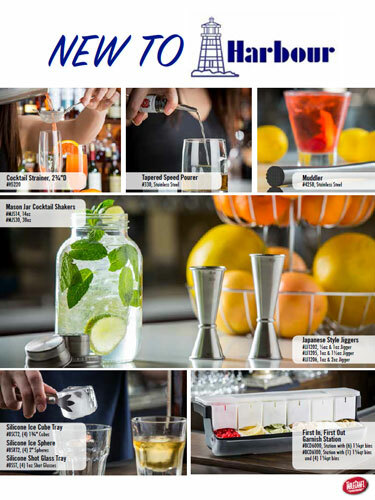 New to Harbour: the latest in Bar Supplies including pourers, garnish stations, jiggers, shakers, and muddlers.